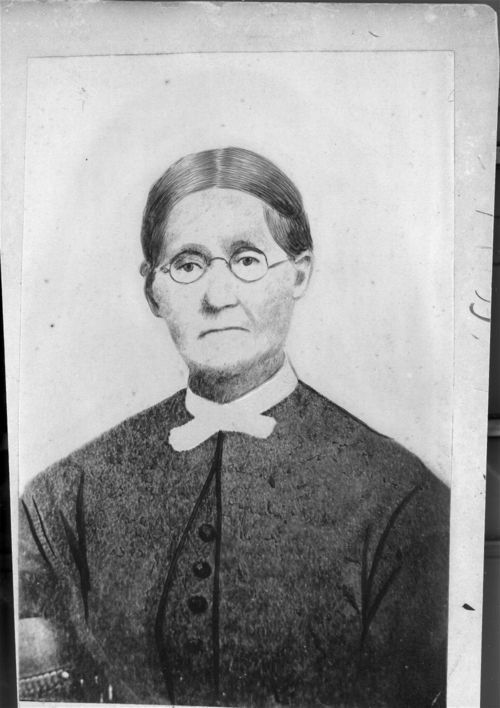 Portrait of Martha Poage Moore Still, wife of Abraham Still. The Stills were missionaries at the Shawnee Methodist Indian Mission on the Wakarusa, 1851-1854. The mission was located in Section 8, T. 13, R. 21 E, a mile south of Eudora in northeastern Douglas County, Kansas.